Hats off to Glen Arnold again for getting this corn problem identified quickly. In this particular situation the problem is primarily on one end of the field where it would have gotten an extra shot or two of herbicide. Thus, the farmer first thought it might be herbicide related but there were some symptoms in a few other places in the field that would not have received extra herbicide. A local crop adjustor suggested it was perhaps covered by water when the plant was smaller. Affected leaves exhibit a ragged or notched edge that looks a little like somebody did a poor job at attempting to cut paper dolls out of the leaves. 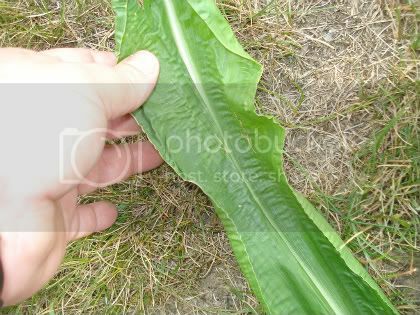 There was one descriptive comment from an Internet post that it “looks like some kids found an old set of ear notchers left over from the “Hog” days.” Sometimes the notching occurs only on one leaf edge with the other normal, other times the notching occurs on both leaf edges. The symptom seems to be most commonly reported on corn that is well into its rapid growth phase (sometime after leaf stage V7). Entry filed under: corn. 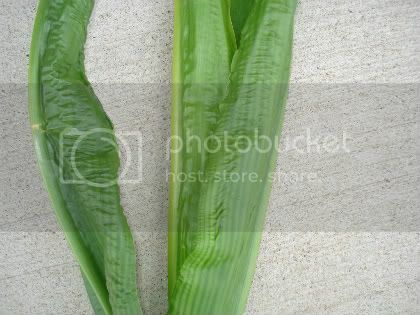 Tags: crinkled corn leaf, ragged corn leaf, tattered corn leaf, twisted corn whorl, wrinkled corn leaf. Details of Ohio’s Livestock Care Standards Proposal	Yellow Soybeans: What is the Cause?